It seems like everyone in that newly gentrifying neighborhood knows Vox Pop, a cafe and bookstore that, by day, draws young families and office job escapees. 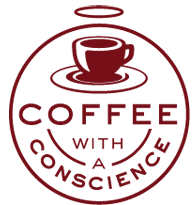 But perhaps more important than the knitting classes and band performances that establish the business as a kind of community center is its coffee, proudly described on well-placed signs and on the menu as “fair trade” brews. Fair trade, like more familiar labels such as organic, cruelty-free and sustainable, is another in a series of ethical claims to appear on products — a kind of hipster seal of approval. The fair trade ethic is spreading eastward from the West Coast, where it has been promoted by well-financed activist campaigns and where progressive politics are more intertwined with youth culture. Scott Codey, a member of the New York City Fair Trade Coalition, said the number of retailers in the city selling fair trade products like coffee, tea, wine and clothing has grown to hundreds, from 25, in the last three years. In general, the fair trade label means that farmers of crops like coffee or cocoa in the third world, or workers who stitch T-shirts in factories abroad, are paid fairly. The label is intended as a guide for socially conscious consumers in rich countries when buying goods that originate primarily in Latin America, Asia and Africa. Amid the wine bars and boutiques that line Fifth Avenue in Park Slope, Jonathan Coulton, 36, a musician wearing black rectangular glasses, was hunched over a laptop at Gorilla Coffee, where a blackboard proclaims all its coffees are fair trade. It “makes you feel like you’re doing something good just by drinking a cup,” he said. TransFair USA, a nonprofit group in Oakland, Calif., that awards a Fair Trade Certified label to farm products, says fair trade coffee is the fastest-growing specialty coffee in the United States. It claims that since 1999, its programs have put $60 million more into the pockets of third-world coffee growers than they would have otherwise earned. Such goods were once stigmatized as uncool: the weird Guatemalan pants worn by a high school art teacher, or the muddy-flavored coffee served at a student-run cafe. But savvy marketing, and better products, have helped the fair trade label shed its frumpy image. American Apparel, the fast-growing chain that pays most of its factory workers above the garment-industry standard, and which runs advertisements featuring skinny hipsters in provocative poses, has increased many customers’ awareness of labor issues and raised the design ante for products promoted as socially conscious. Proponents of the fair-trade movement, which began in the 1980s in Europe (and where flowers and even soccer balls are labeled fair trade), say the low prices that most companies pay to producers in economically disadvantaged countries cause widespread misery: poverty, unsafe work conditions and forced child labor. TransFair USA, founded by a group of activists in 1998, says it audits American companies that receive its certification to ensure that third world farmers of coffee, cocoa, fruit and other crops receive a “fair, above-market price.” The group says the system has improved conditions on farms and that the additional income, subsidized by higher consumer prices, has enabled farmers to send their children to universities and communities to build clinics and schools. Not everyone is feeling it. Some industry observers and journalists have identified labor abuses on farms producing crops that have been certified as fair trade by international groups, like paying migrant workers below a country’s legal minimum wage. And though many people buy fair trade products in reaction to what Mr. Codey of the New York fair trade coalition calls “mainstream commercial culture,” others point out that to make a real impact, fair trade has to become much more widespread, even if that means losing some of its in-group appeal. Larger corporations, including McDonald’s, Starbucks and Dunkin’ Donuts, now offer some fair trade coffee, but, “it’s still too limited in the United States, to just a few commodities,” said Kevin Danaher, a founder of TransFair.